On Monday evening Neil deGrasse Tyson (American Museum of Natural History) regaled a packed lecture hall with "Tales from the Twitterverse, and Other Media Excursions." 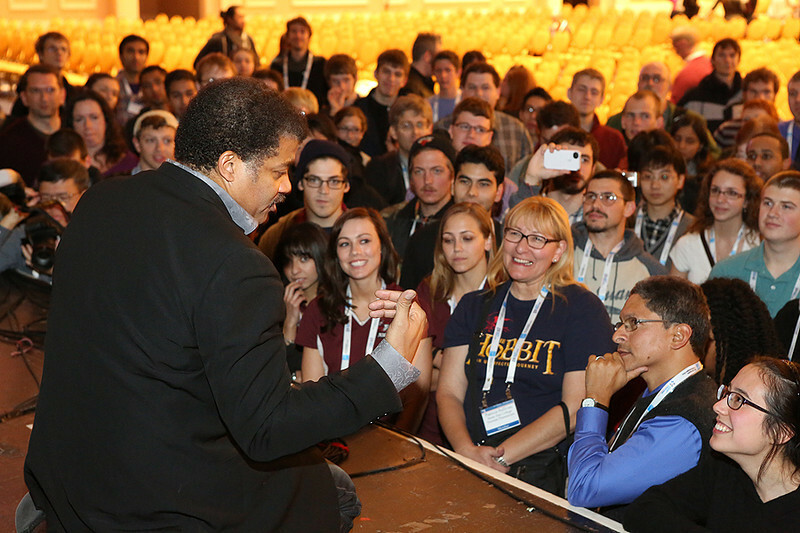 Tyson's celebrity status was evident when a crowd of admirers swarmed the stage after the presentation to spend a few more minutes talking with him about astronomy and public outreach. AAS photo © 2014 Joson Images.